Blame the Dog - or Blame Theresa May? We've been otherwise engaged for the past few days so I haven't got around to preparing blog posts - blame the dog[-sitting]! Pooh-dog is back with his new humans now, bless his little running jumping feet! Why do so many people blame Theresa May for the Brexit mess since it’s not entirely her fault? This answer has already been "shared"; I'm taking it that a further sharing here would raise no objection - so a big thank you, to Mr Lock! Spilling a bucket of cowshit on the hallway floor may be considered an accident. Tap-dancing in the resultant mess so that it sprays high and wide up the walls and ceiling, running through the house flinging handfuls of it around the living room, and then finger-painting the kitchen and bedrooms…cannot. The referendum was held in June 2016. 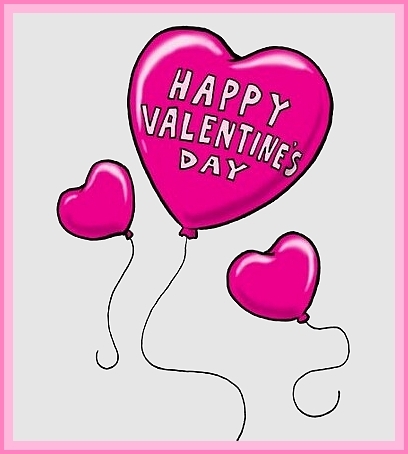 It is now nearly March 2019. ~ Appointed David Davis as Brexit Secretary (13th July 2016). Kept him in that position even when it was clear that he was doing nothing and achieving nothing. He resigned - not fired, resigned - in July 2018. ~ Triggered Article 50 (March 29th 2017). There was (and is) no ‘roadmap’ to leaving at the time she (and she alone) did this. Triggering Article 50 sets a two-year fixed time period for arranging an orderly withdrawal. ~ Called an unnecessary election (June 2017) partway through the two-year Article 50 process, diverting time and effort from all parties into the campaign. Manages to lose 13 Conservative seats and cannot form a Government. ~ Decides to solve this problem by allying with the 10 MPs of the DUP, a Northern Irish party who believe the earth was created 6,000 years ago, and who are known for being somewhat…inflammatory, not to mention stubborn, in their viewpoints. Gets them onboard by somehow finding 1.5 billion pounds going spare in the public finances. At a time when the country is undergoing huge and sustained cuts in public spending. ~ Sets up a bunch of ‘red lines’ in her negotiating position with the EU. The result of these is to exclude certain solutions such as continued membership of the Single Market and Customs Union (e.g. the ‘Norway’ option and various other forms of ‘soft’ Brexit), and to put any possible solution that would fit within the red lines in conflict with the Good Friday Agreement, an international and legally-binding treaty which the UK is signatory to. Refuses to modify the red lines to accommodate this (for example by keeping Northern Ireland in the Single Market), almost certainly because she has to rely on the DUP to stay in power. ~ Finalises an agreement with the EU (25th Nov 2018). This needs to pass the UK parliament. The vote is scheduled for 11th Dec 2018. ~ Is defeated in three preliminary votes on 4th Dec, including being held in Contempt of Parliament. ~ Announces on 10th Dec 2018 that the vote scheduled for 11th Dec is postponed. Admits that it’s because she would lose the vote. This is rescheduled for 15th January 2019. ~ Vote is put to Parliament on 15th Jan 2019. May loses by the largest margin ever (230 votes). She very narrowly survives a confidence vote held directly after this. 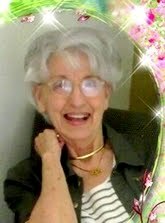 ~ Another vote is scheduled for 14th Feb. She loses this one as well. ~ Another vote is, or rather was, scheduled for 27th Feb. This one was supposed to be the next ‘big’ vote - following the delayed and rescheduled Dec/Jan votes, the theory was that further changes would be negotiated with the EU, and UK MPs could then re-vote. This has not happened, as the EU has made it very clear that further changes cannot and will not happen. The vote is currently re-scheduled for 12th March. It is highly likely that this will be more-or-less the same deal that Parliament already voted down by 230 votes. In short, ‘so many people blame Theresa May’, because she has made a bad situation almost infinitely worse, as a direct result of her own actions or inactions. Time and again I’ve protested that she may not be the answer but she didn’t create this mess. She’s just a dogged politician, overly cautious and rather shy, but time and again my informants, MPs, former MPs, civil servants, special advisers, tell me eyes flashing that I’ve got it wrong, and the public have got it wrong and she’s so much worse than that. She’s not normal, she’s extraordinarily uncommunicative, extraordinarily rude in the way she blanks people, ideas and arguments and to my surprise there’s no difference between the pictures of her that Remainers and Leavers paint. Theresa May they tell me (in a couple of cases actually shouting) is the Death Star of modern politics, she’s the theory of anti-matter made flesh. She’s the political black hole because nothing, not even light, can escape: ideas, beliefs, suggestions, objections, inquiries, proposals, protests, loyalties, affections, trust; while careers, real men and women are sucked into the awful void that is Downing Street, and nothing ever comes out, no answers only a blank so blank that it screams. 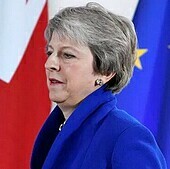 Reputations, they lament, are staked on her and lost, warnings are delivered to her and ignored, plans are run by her unacknowledged, messages are sent and unanswered, she has become the unperson of Downing Street, the living embodiment of the closed door. Music Monday ~ Musically Architectural ? If each music genre becomes an architecture what would it look like? The answer by Jim Davis at the link has a selection of architectural illustrations for each music genre. Blues: Small, crumbling cottage in a rural swampy, or run-down urban area. Classical - Tall, handsome gentleman, polite and charming, with a beautifully dressed lady on his arm. Swing & Big Band - Clean-cut happy-go-lucky guy in blazer and slacks, will buy drinks all round at the bar, girl friend is a leggy blonde who loves to socialise. American Standards - A bit of a solitary nerd, horn-rimmed spectcles, always scibbling on the back of tickets and cigarette packets. Jazz - African American couple, moody, changeable, charismatic, but for outsiders, not easy to understand. Blues - Solitary, gloomy African American guy - tends to study his own navel a lot. Early Rock and Roll - Teen school friends, frequent the coffee bars, a bit full of themselves- they think they've invented the wheel. Psychadelic 60s - Good looking young couple, long flowing hair, he bearded, she bra-less, both smoking - something. 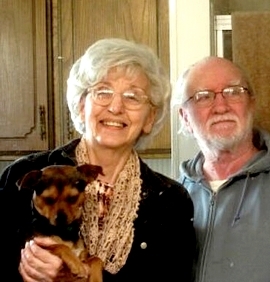 Country - A couple who've been through the mill, romantically and in life generally. They drive an old truck & go to church of a Sunday. Folk - A youngish couple who have an oddly old fashioned look, a bit rumpled, a bit unkempt, yet they always retain a certain classiness. 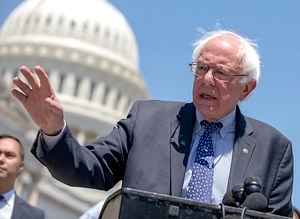 The entry of Senator Bernie Sanders into the 2020 presidential race is, by now, old news. He announced his intention to run early in the week. To match the pattern I've followed for other hopefuls, hats already in the ring, I'll peruse Bernie's natal chart for any clear signs of change of status, due in late 2020. For now, I'm limiting these 2020 posts to that process. Anyone who read this blog in 2015-2016 might remember that I was a firm Bernie Sanders supporter then. That has not changed. Bernie, for me, is "the real deal", has been since 2008 when he first came to my notice - a politician with focus always on what can, and should, be done to benefit "We the People". Bernie Sanders is a democratic socialist building on the legacy of Franklin Roosevelt and Lyndon Johnson. He understands that inequality is the core structural factor in economic crisis and that growth in real wages and incomes is required for robust, sustainable economic growth. He recognises that the Democratic Party must fundamentally change to tackle this problem. He has been an independent and kept himself separate from the party machine because he recognises how corrupt and lethargic it has become over the years. He’s running not just to change the country, but to change the Democratic Party into the kind of party that can deliver for poor and working Americans. All the rest is noise. This is not about just this election, or just the next four years. This is about whether the Democratic Party is going to care about inequality for the next decade. We are making a historic decision between two distinct ideological paradigms, not a choice between flavors of popcorn. This is important. Choose carefully. It is unfortunate that there is no reliable time of birth available for Senator Sanders. Astro.com has some rectifications noted, but do not rate them as reliable. 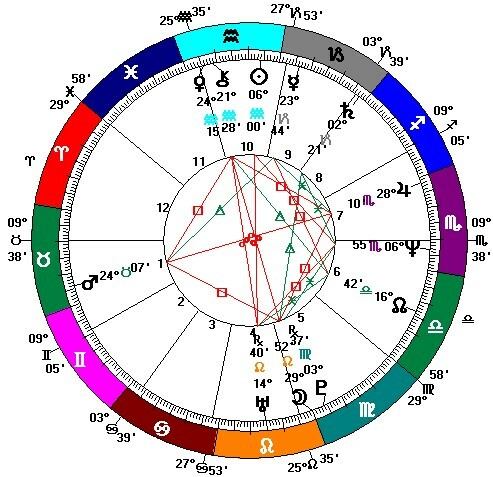 One has Scorpio rising, with a birth time 27 minutes after mid-day; the other rectification, based on Bernie's history, has Gemini rising. 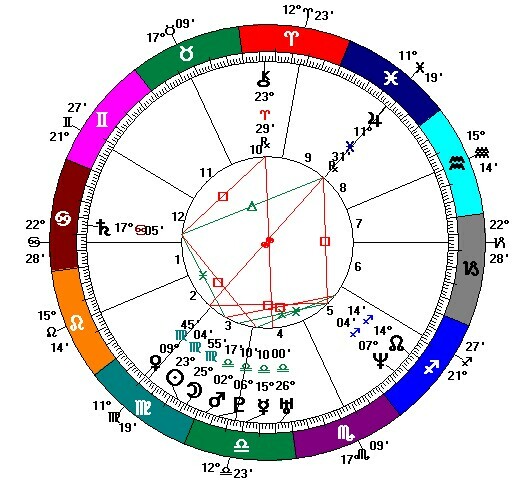 The chart below is set for noon, so Moon position, as shown, will not be accurate, though Moon would be in Aries, whatever the true time of his birth. Rising sign has to remain a mystery, absent further information. Born on September 8, 1941, Brooklyn, New York City. https://astrologyking.com/jupiter-opposite-jupiter-transit/. It certainly reflects the record-breaking huge (Jupiter) first-day fundraising haul Bernie achieved! Transiting Neptune will exactly oppose Bernie's natal Sun several times in coming months and during part of 2020. I'd interpret that as a warning to the Senator to be careful in whom he places trust - something of which I feel sure he is well aware, and will have chosen his new group of assistants with that in mind. Still, though, there will be be members of the Democratic establishment and corporate media ranged against him, as well as President Trump and the Republicans. 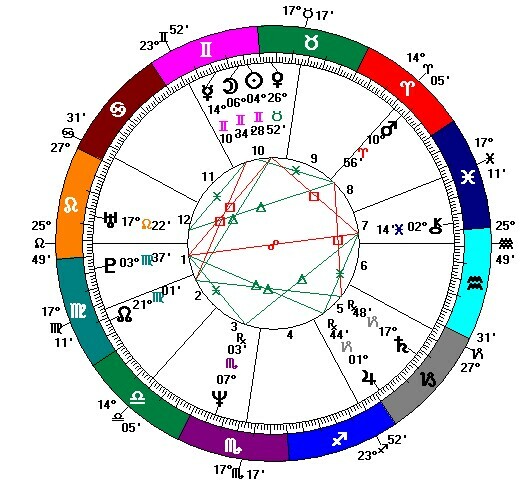 Transiting Mars will be conjunct Bernie's natal Moon (exact dates depending on exact degree of Moon) and natal Mars, while also opposing natal Venus in weeks surrounding the election in 2020. This isn't a sign of success, but an indication of significant energy or dynamism being present at that time; it could also be related to non-election issues. 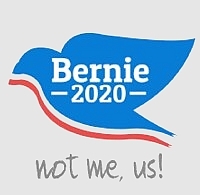 I have to say that I don't see, in the information available, any stand-out indication that Bernie Sanders' status in the public eye will change, or that his run will end in success, whether in the primaries or, if nominated, in the General election. The lack of time of birth is particularly frustrating in this case! Much as it pains me to write it, if I had to bet on any of the people investigated so far, relying only on my astrology, bets would still have to go to Elizabeth Warren or to Cory Booker (if his time of birth can be established as being accurate). But we do need Bernie's voice to remain in the mix - loud and clear! We can only surmise that the wee dog had escaped from, or was abandoned by someone driving through town. He has, indeed, proved to be something of a 'runner', if ever he sees a chance of escape. He has a strange combination of traits: he's ultra clingy and affectionate, wants to be with us, around us all the time even though we haven't known him for very long, but still, he'd bolt and run given the chance. He has tried it, both from here and from his new home with son-in-law and family. 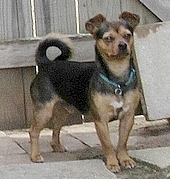 He's a hybrid, definitely one part Chihuahua, his head is unmistakably that; the other half could be either Corgi or Mini-Pinscher. Anyway...long story short: son-in-law and wife have gone skiing in New Mexico for 5 days, and we are dog-sitting - though in our own home rather than in theirs; our homes are just a short distance apart. I'm calling the dog "Pooh" for now - Pooh Dog, after A.A. Milne's Pooh Bear. Guess why? Yep, probably due to anxiety and nerves, not long after his new "humans" had driven off, he pooped in husband's office/den. It happened again later on, and again this morning - in the living room this time. We take him out in the back yard often - it's a nice big open grassy space with a pasture behind - but he's not into pooping there, as yet. He did try an escape though. He had woofed to "ask" to go out, yesterday morning, so I let him out into the backyard without realising that we had a visitor there : the pest control guy, who had had opened the back gate. Pooh had heard something going on, woofed to go out and - quel horreur! Pooh flew! Panic central! The nice young pest control guy realised what had happened, ran to his truck and followed the direction in which we'd seen Pooh disappearing. He was soon back with the little rascal, who had covered quite a bit of ground in the streets around ours. 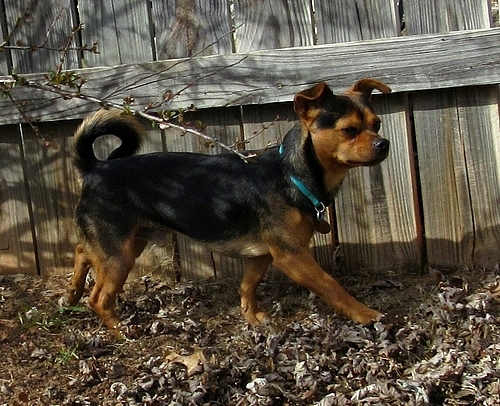 He has a peculiar gait when running - more akin to leaps and bounds, possibly due to his disproportionately long body. Pooh is so generally sweet natured and friendly that he went straight to the young pest control guy, came back with him quite happily. This is going to be an adventure and a half! There's little I can write about in astrology that I haven't written about before, at least once during my many years of blogging. While preparing a weekend post, I began scribbling about the semi-sextile, referred to a piece by astrologer Donna Cunningham....then took a quick look back at my archived posts. Lo and behold - I'd written about this in the past - in 2014. Ah well, waste not want not. I shall simply link to the old post and include under the link the additional words I'd already written before discovering my earlier work. The old post has some interesting comments attached too, by the way. Something I read at Quora had me perusing my own natal chart - I do so rarely these days. I then clicked around Google quickly and happened upon a piece by Donna Cunningham. From Is the semi-sextile a good aspect or a bad one? .........The good traits of one of the signs can usually offset the less than wonderful traits of the other, especially if we learn to use them consciously. I have several in my chart, and they tend to pull me back off the ledge when I’m about to bungee dive into the worst qualities of the signs involved. I'm most aware of one prominent semi-sextile in my own natal chart: Sun at 6+Aquarius/Jupiter at 6+ Pisces. I like that one. Aquarius chases after logic, while Pisces chases imagination and dreams - the effort expended in maintaining a balance of the two helps make life interesting and satisfying. I hadn't, until now, taken as much notice of two other semi-sextiles in my chart. Saturn and Uranus are semi-sextile within a degree, in Aries and Taurus respectively. Those are my Aquarius Sun's ruling planets (traditional and modern), and that semi-sextile does echo the feel of the Aquarius/Pisces semi-sextile: in a "stop-go" kind of way - Aries is spontaneous and quick, Taurus is traditional and steady. A feasible balance needs to be maintained, and it's not too difficult to do. 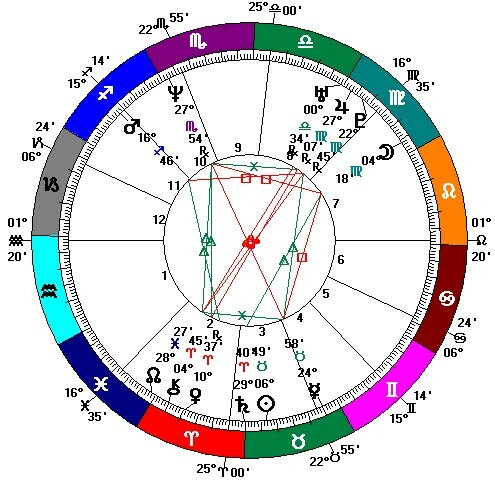 The third semi-sextile in my chart is between Mercury and Venus in Capricorn and Sagittarius respectively- not quite 2 degrees of difference in the semi-sextile. Again, here's that same flavour coming through "steady and careful as she goes" from Capricorn, but "get on the road now and go as far and fast as possible" from Sagittarius! So, I've discovered what is a recognisable trait in my personality - recognisable to me anyway, only I know for sure what goes on within. There are three pieces of evidence of this trait in my chart. Knock-out fall-down fights of opposites are not a feature of these semi-sextiles, but gentle tussles between two subtly different sides of me, neither being too far beyond the pale to be blended together. 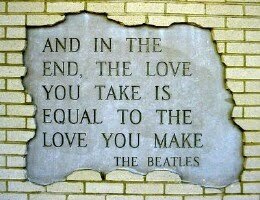 One side wins sometimes, but the other side has been known to win equally often too. "As always, personal experience is key to knowing how it (or anything) works for you." What’s the stupidest idiom in the entire English language? Oh, there’s lots of them. Down at the Idiomatic Phrase Testing Range (IPTR), we’re regularly trying these out. So we did an experiment. We got six large men and had them lift anvils.All of them could manage it. Then we shot two through the left knee, two through the right knee, and two through both knees. All six survived, but not one could succesfully lift an anvil any longer. We got a bunch of chemists working on solid propulsion systems and introduced them to a bunch of engineers working on rapid reaction guidance systems and told them to deploy a satellite by Friday teatime or they’d be next lifting anvils (see above). It appears it was indeed rocket science that happened thereafter. We took a group of students from the local university and synchronised their watches to an atomic clock. The we got them totally pissed, fed them some marijuana, and played American soft rock at them for five hours. When we checked their watches, they were still in synchronisation. We didn’t make them lift any anvils. We feared that the work involved in lifting anvils might kill them and that would be a bit of a sticky wicket when explaining to their tutors. We borrowed Botticelli’s “Birth of Venus” from the Uffizi. We painted over it with white emulsion and wrote a very accurate description of what it used to look like in exactly one thousand words. Judging by the reaction when we sent it back, the picture was worth much. much more than a thousand words. Perhaps we ought to have used Italian words instead. For some reason, the government is considering cutting the funding to IPTR. Personally, I blame Brexit. What’s the song that takes you back to when you were a kid? I'll answer it here instead. No need to think long nor hard: "You Are My Sunshine". Which reminds me - I want to see that movie again - must use the 'search' facility on ROKU soon! Another in the series of posts looking for astrological indications of change or success for would-be presidents of the USA - those who have declared their candidacy already. Two other posts in this series are HERE and HERE. Senator Amy Klobuchar, lawyer and politician, serving as the senior United States Senator from Minnesota. A member of the Minnesota Democratic-Farmer-Labor Party, Minnesota's affiliate of the Democratic Party. She is running for the Democratic nomination for President of the United States in the 2020 election. Born on May 25, 1960 (age 58 years), Plymouth, MN. No time of birth available. chart set for 12 noon, so rising sign and degree, and exact Moon position will not be not as shown. Born on September 16, 1974 (age 44 years), San Antonio, TX. Astrodatabank has time of birth as 2.40 AM ("from memory") with an "A" rating - considered reliable. For this exercise all I am doing is taking a brief look at natal charts, not to interpret personalities, but to discover whether any significant transits of outer planets (Saturn, Uranus, Neptune, Pluto) will coincide with personal planets between now and November 2020. Such a finding would indicate change of some kind in the chart owner's life, and in this case could be an indication of, if not the presidency, then a move into a more significant position in government. There's a link between the two charts - Saturn at 17 degrees of Capricorn in Senator Klobuchar's case and in Castro's chart Saturn is at 17 Cancer - directly opposite Klobuchar's Saturn. Amy Klobuchar is experiencing what astrologers call a "Saturn Return" - her second. Saturn takes around 29 years to return to the same position in our solar system as it was at time of birth, so we experience Saturn Returns roughly every 29 years, in our late 20s, late 50s and, if we make it that far, our 80s. A Saturn Return is a kind of marker often defining the end of one stage of life and beginning of another - in late 20s it marks a move into adulthood proper, with its responsibilities and challenges. In late 50s it marks a move into middle-age and sometimes a possible change of direction in one's employment, profession or public standing. Amy Klobuchar is experiencing her second Saturn Return now, and Saturn will to-and-fro over her natal Saturn during most of 2019, but by election time, late in 2020 Saturn will have moved on, well away from her natal Saturn. 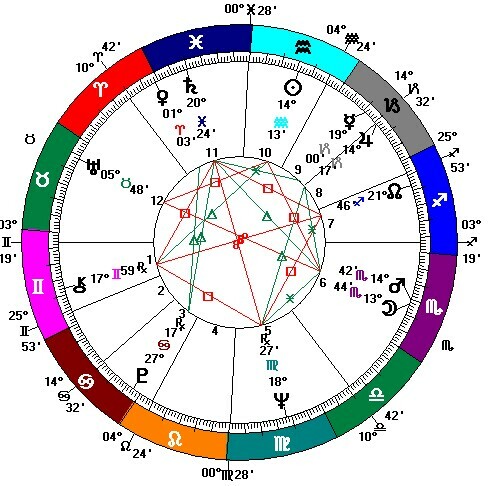 Whether this early intention to bid for the presidency is Klobuchar's 2nd Saturn Return marker, we shall see. It could, eventually, lead to a change in her professional life. Jupiter (planet of expansion - and luck) will conjoin her natal Saturn at some points in 2020, an indication of a helpful atmosphere coming and going as the planet moves from direct to retrograde. Julian Castro's natal Saturn is at the opposite point in the Saturn cycle to Amy Klobuchar's. 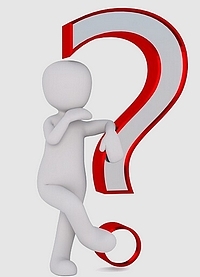 At this point in the Saturn cycle, halfway between the move to full adulthood in late 20s, and to middle-age in late 50s, a person could well be considering and assessing how far they have come, and whether they are moving in the best direction for them - or could do better. Perhaps this is what Castro is determining with his bid for the presidency; it will give him indications as to whether or not aiming for the presidency is the best, most viable, or ideal new direction for him, depending on public reaction, and reception. As in klobuchar's case, helpful Jupiter will conjoin natal Saturn at a few points in 2020. Senator Klobuchar could well find herself in a new and more important position after 2020. 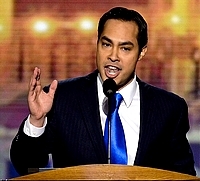 Julian Castro is a little before his time here - but perhaps by his second Saturn Return, what he experiences in this run will be of great assistance during a future presidential election. From all the candidates I've so far investigated (links at top of post), if I had to put money on someone to win the Dem. nomination, it'd be on either Elizabeth Warren or Cory Booker (if his time of birth is accurate, that is!) 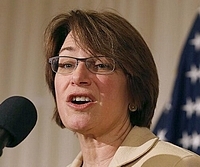 Amy Klobuchar, a less well-known name nationally, could perhaps be a VP choice. "Still they come", though, so more posts will follow as others join the throng. Republican candidates will be under the microscope later too. Arty Farty Friday ~ WHAT IS ART? A seemingly simple question, posed some years ago at Quora, has one of the longest threads of answers I've yet come across. Most responders took the question and ran with it - ran all over the place in fact, and at length! I patiently read through a majority of answers, some from as long ago as 2011, some from early 2019. I was searching for something that I felt answered the question without...erm...a certain element of "showing off" from the writer, there's a lot of that. One could almost say that defining art can be made into an artform itself! Art is the creative expression of humanity. Anything requiring a creative element. That may not be the most popular answer to the question, but it is the most pragmatic. The level of subjectivity that so many applied to assessing what “Art” is represents a de facto arrogance. Art is ANYTHING that entails a creative component in its creation and understanding. The Universe itself is the greatest “Artist” of all. "Art" does not have one definition. These three little letters are used to represent very different things at different levels of meaning. 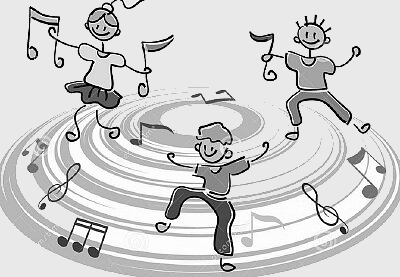 At its shallowest level, art is entertainment - theater, movies, dance, popular music, etc., that we use to relieve ourselves of tedium and anxiety and to unite us socially. At the next level, art is both an aesthetic expression and an experience that may provide emotive, imaginative and even spiritual responses, for those so inclined. Historically, at this level, it can also provide substantial community, or even national "glue", especially music, theater and select visual arts. Regardless of which level of art we discuss (or argue about), one thing is very clear. Art has existed as long as humans have, so it clearly "comes with the territory". Some of us make it. But all of us use it, in one way or another. Because we need it. Art is something created or presented with the intent to deliver an aesthetic experience. This definition is very broad, and includes works where aesthetics is the primary motive (e.g. a painting), or is second in importance to other aims (e.g. perfume, architecture, or commercials). This definition also emphasizes the matter of context: the same object that may not be considered art in one environment may be considered art in a museum. Overall though, art, as well as the definition of art, is constantly changing. While preparing this post I glanced across the room and caught sight of one of my favourite vintage store arty bargains hanging on the wall by a window, it is titled, The Creative Mind, and signed by the artist, Joyce Crowley. What better place to feature a photograph of it - again (see below)? I wrote a full blog post about it just after buying it, in 2015 - SEE HERE. Joyce Crowley's website is - HERE. 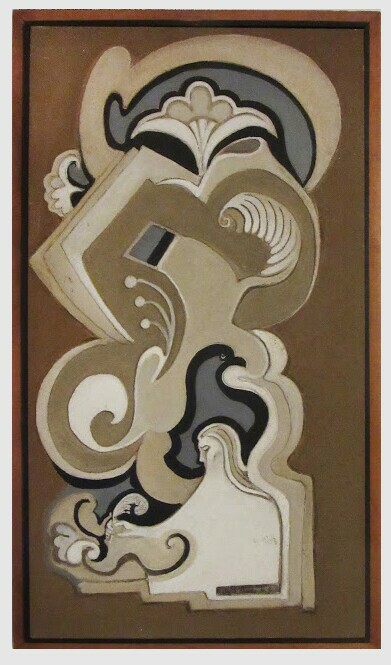 In the section titled "Bas Relief", among the group "Contemporary & Abstract", there are several pieces in similar style and colours to this one. All skills of drawing, sculpting and painting are combined in this unique art form. The slow layering process using acrylics and sand creates a bas-relief sculpture presenting a three-dimensional illusion when side – lighted... whether bold abstract, contemporary flowing designs... The surface interest, combining sculpture and soft earth tones, is a feast for the senses. The creative designs command attention. The tactile durability and craftsmanship command respect. The image below doesn't do the piece full justice - the sculpted texture of it isn't clear. I've been away from Britain for long enough now (since October 2004) to feel a little out of touch with goings on there - other than news about flippin' Brexit! What follows isn't Brexit-related, thanks be, but it has some relevance to both sides of the Atlantic - a question from Quora, posed recently. The link leads to a complete thread of answers. I like the lengthy answer provideded by Simon Mark Blackburn, and have extracted a nap selection from Mr Blackburn's contribution. Which American habits and mannerisms do you wish Britain hadn't adopted? I am not anti - American. Americanisms are fine coming from North Americans. They often sound dynamic, humorous and colourful to my ears. So much good has come from America. STEM, Medicine, Soul, Funk, Jazz, Chuck Berry, Elvis, the Moon landings and NASA, JFK, guitars, Hollywood's great past and the silver screen giants, generous funding of the Arts, the culture of philanthropy and enlightened self-interest. Don't forget "bring me your huddled masses etc...." And that lot's just for starters. It's a just a pity that us over here are now so culturally diminished that we now mainly absorb America's crass and pretentious characteristics. I’d feel less saddened if we at least adopted some of its better habits. Sooooo…in no specific order and without further ado…. The baseball cap. 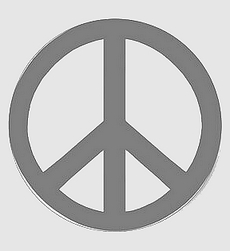 That ubiquitous symbol of the idiocracy. "Can I get...?" instead of "I'll have..." or "may I have..." if one is being posh. A grubby little one bed-roomed flat over a chip shop being described as an apartment! Pretentious estate agents watching too much US telly I think. It's in a piddly little suburban town in middle England, not Greenwich Village or LA! Lootenant (somebody renting a toilet) instead of lieutenant (a subaltern). Regular? As opposed to what? Irregular? What does an irregular coffee look like? Narcissism. Self-delusion about one's own importance and attractiveness. This is a real problem amongst our youngsters. Victimhood. I'm fed up with hearing about LGBQTABCDEF or whatever the latest Venn diagram of gripes that we’re importing from America. Social inflation. I heard a dinner lady referring to her...profession. Dinner ladies are great. Best people in a school, maybe the World even, but… surgeon is a profession, astronaut is a profession, barrister is a profession. Dinner lady isn’t. Idiots driving about in cars painted with American flags and or US style plates (either Union or Confederate). Honestly, does the Brit idiot who suggests we "touch base" realise how ridiculous he sounds? Healthcare that isn’t free at the point of need. Long live the NHS. Telling a stranger our life stories when we aren’t drunk. Facebook. Twitter. Both are crimes against humanity. Political correctness used as virtue signalling. Music Monday ~ "...they try to sock it to ya...."
Joe South - I remember him only from a hit song he wrote from the late 1960s, with its interesting and ever-relevant lyrics: The Games People Play. The song's title was taken from a book by Eric Berne, a bestseller on the psychology of human relationships. There's a full post about Joe South and his natal chart in an old post of mine HERE. That old song often comes to mind when reading about Theresa May's Brexit fumbles and foibles. Is she playing games, running out the clock, gaming the dissenters to her Withdrawal Agreement until toes are over the cliff edge and that dreaded "crash out" is nigh? Or is she.......? On this side of the Atlantic, our current president has his own favourite gaming table: Twitter! Also, it's more than likely that games are already being played, prior to the 2020 presidential election, to ensure that anyone daring to voice policies even a smidgen left of establishment Democrat line (which, translated, means conservative) will never bask in the sunlight of media celebrity, but be constantly ignored, criticised or dismissed as "socialists". Socialist, a term which describes nobody currently on the list of candidates, and probably no more than a few dozen individuals in the whole of the USA! The word 'socialist', even though most don't understand its meaning, has gathered the same kind of horror here as 'leper' had in biblical times. ("Unclean, unclean!"). For this Music Monday, I was about to post Joe South's own rendition of his song, when I noticed this exuberant old version of it by Engelbert Humperdinck (now 82), Tom Jones (now 78) and Billy Preston (who, sadly, died in 2006 aged 59). Joe South, the song's writer died in 2012, aged 72. Temperatures of -40C (-40F) and -50C (-58F) in parts of eastern Russia haven't stopped people getting out and having some fun in the snow and ice. According to the state news agency TASS, current temperatures in Russia are much colder than average for the time of year. Unsurprisingly, the trick of throwing boiling water in the air and watching it turn into ice - which was popular in North America during the polar vortex - has become a trend. People across the country have been taking part in the "Dubak" challenge, which is Russian slang for bitingly cold weather. A trio of short videos featuring two artists with birthdays today, 8 February, and on Sunday 10th February respectively. Joe Mangrum, birthday on 10th February when he'll be 50 is, among his other arty talents, an amazing sand artist. I came across this pair separately while searching for something else, I couldn't resist featuring them this week, especially as they both have Sun in Aquarius birthdays. I have been known to scoff at the idea that Sun in Aquarius, especially when aided and abetted by other planets and/or sensitive points in that sign, necessarily has attributes connected to Uranus: eccentricity, the unexpected, interest in all that is futuristic. 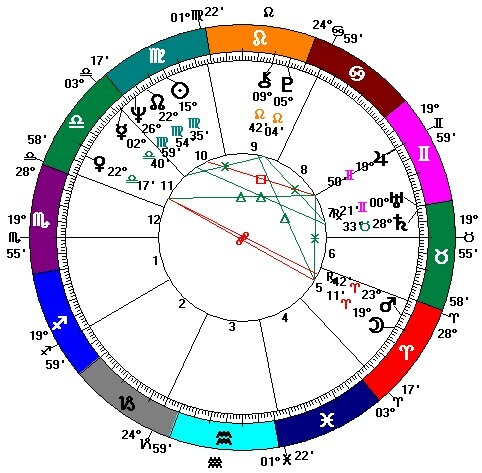 Unless there are clear aspects and connections to Uranus in a natal chart, I (with Sun in Aquarius myself) tend to lean towards the traditional ruler of Aquarius, Saturn. I like to think that Aquarius is the Airy version of Saturn with an inventive turn of mind, socially conscious and with great respect for logic; while Capricorn is the Earthy version, business oriented, regimented, disciplined. These two guys might just persuade me otherwise though! In addition to the Wikipedia links above, here are nutshell and rather more friendly explanations of who they are and why they are well-known, at least among certain segments of society. 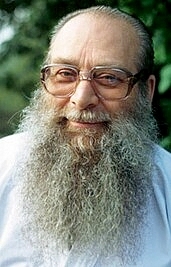 Billy Meier- Supposed life-long contactee with the 'Pleidians', humanoid life forms who fly in 'Beamships'. 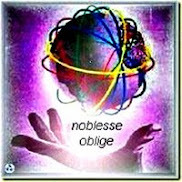 Has provided hundreds of beautiful photos of their craft, which all have stood up to professional analytical scrutiny, as well as rheims of technical info provided by the extraterrestrials, which has also stood up to scientific scrutiny. For someone with one arm and no access to a photolab or computer facilities (most of the photos were taken in the 70's) with education at a fifth grade level, it is difficult to believe that this is a hoax. However, because of the potential implications and outrageousness of the story, it is also difficult to believe that this is real! 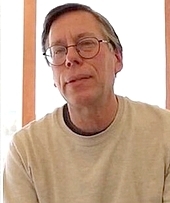 Bob Lazar- A 'Mad Scientist' who invented such crazy contraptions as a rocket powered car. He was drafted by the US government to work for them at Area 51, or more specifically the 'S4' facility a few miles from it. At S4, he claimed, there are 9 UFO's being studied in an 'amateurish' fashion by the US military under the highest secrecy level (Bob had a clearance about 30 levels higher than the President). He was chucked out after taking some friends to see a test of one such craft, and went public to ensure the authorities didn't kill him. So...I'm investigating their natal charts for similarities - just for the hell of it. 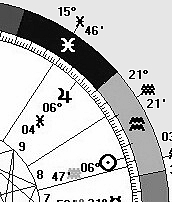 Without exact times of birth what can be gleaned from the noon charts, below, is limited. The rising signs of this pair would be most enlightening! After pondering on the two charts for a while, I have not been struck with the thought that either one was "the chart of a real nut job". "Crazy like a fox" could be nearer the mark though. 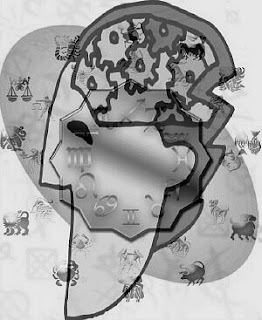 Both men have mentally oriented Aquarius Suns, neither of their natal Suns is in tight harmonious aspect to Uranus, planet of eccentricity, but Lozar's is in rather wide opposition to it. Neptune, planet of imagination and dreams, is more of a significant feature in Meier's chart. Neptune in Virgo trines his Mercury/Jupiter conjunction in Capricorn, and sextiles natal Mars, and possibly Moon in Scorpio. Meier has Saturn in Pisces, the sign ruled by Neptune, and it lies in sextile to Mercury and Jupiter in Capricorn. I certainly see Meier as more of an imagination-led character than Lozar, but still with a certain innate business sense, courtesy of his Capricorn planets. Bob Lozar, with additional emphasis on Aquarius from Venus and Chiron, along with natal Sun, also has some strong Capricorn emphasis from Mercury and Saturn. So, again, a grounding and business-related quality is present. Mars from Taurus adds more "feet on the ground" flavour, further emphasised by a trine to his Capricorn Mercury. In Lozar's case Neptune, king of imagination, is in close square to Aquarius Sun - so not as harmonious to his nature as in the case of Billy Meier. Conclusion from limited detail available: It isn't possible for anyone to know for sure whether there have ever been concrete, real-life happenings and reasons behind the stories the two men have told, or whether all has grown from pure imagination. Both men do know, full well, when they are onto a good thing, though! They have not been shy to continually embroider and continue their stories, whether in the cause of fame, fortune, or fear of loss of face. 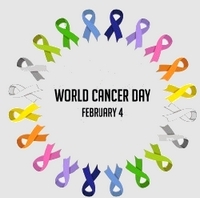 For all who are, or have been, afflicted with this terrible disease, and in memory of those of our loved ones already lost because of it, I can't think of a more appropriate song than this one. Here the song was sung in 2016, on America's Got Talent by a 16 year old cancer survivor, Calysta Bevier. Fight Song, written, and recorded earlier, by Rachel Platten. Calysta Bevier – Biography, Wiki, Quick Facts, Where Is She Now? 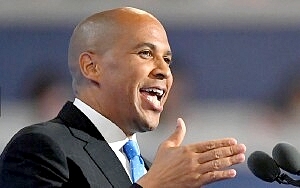 Yesterday Cory Booker, Junior Democratic Senator, New Jersey, added his name to the growing list of contenders in the presidential election, 2020. I've "had my eye on" Cory Booker for around 10 years, feeling pretty certain that we'd see this happen, sooner or later. For me this, in this regard, time of birth makes a huge difference. My cynical side begins to wonder at what point did the Senator come up with this time of birth, and does he have any astrological knowledge himself, or has he taken astrological counsel? Why? Because this particular time of birth gives Senator Booker a rising sign of 1.20 degrees Aquarius. Transiting Saturn will be conjunct this point in November/December 2020 at election time. Saturn is the planet most often connected to law/legal matters, public status, profession. Saturn transiting a person's ascending degree often indicates a change in one or all of those areas. I wouldn't bet that, in Senator Booker's case, it means the presidency - we need to see the full line-up before making that kind of bet! I would bet, though, that it means at least some change of status in the public's eye. If not the presidency, then an important post in the administration, perhaps. Here the point of the arrow hits Saturn - law maker. Astrologers say that the planet at the arrow point indicates a compelling focus on the energies of that planet, driven by the combined energies of the two in sextile, here it's Uranus/Jupiter and Neptune. So this Yod can be translated thus: optimistic dreams of social reform brought into focus via laws and hard work. That focus is quite a classic Aquarian focus, so finding Aquarius rising is a bit like Cinderella finding the glass slipper to fit! From my post on 19/20 January I found that Elizabeth Warren also had indication of change coming around election time 2020, I'll add Cory Booker, tentatively, to that and wait to find out who else will throw their hats into the ring. It's not often that news stories precipitate a change of decor chez Twilight and Anyjazz, but worsening news of the plight of ordinary people in Venezuela, due to a game of political Monopoly being played by governments (US government included) has done just that. In 2015 I wrote a post about a bargain piece of artwork I had found during a trip in Texas. 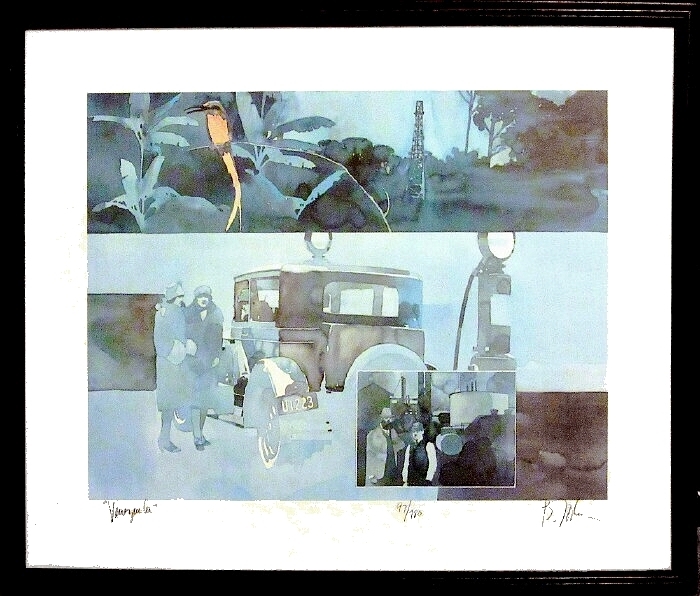 After some research, and with help of a commenter friend, "mike", it was discovered that the signed and titled limited edition print is of a watercolour by Bart Forbes; it is titled "Venezuela". The painting was, very probably, painted as part of a commission by Exxon-Mobil, the world's largest publicly traded international oil and gas company. This week I've taken down the framed print from its place beside my computer, replaced it with another of my "bargains". I don't wish to celebrate, in any way, what is happening in Venezuela at present, which has got to be, at root, due to the country's oil reserves. Anyway - to re-cap - here, again, is my 2015 post on the painting titled "Venezuela". During a short trip to north Texas in late April I bought a signed limited edition print (97/780) of a watercolour painting by Bart Forbes, the picture measures around 25" x 30" in its frame. It was being sold 50% off (original price was only $25). A bargain, I thought, even though the painting's backing was damaged and the framing needed some strengthening, it had once been well-framed, and with expensive non-reflective glass. It was the subject matter of the painting that had first caught my eye though. Painting's title, written in the artist's own hand is "Venezuela". I hadn't deciphered that until I got a closer look. I did appreciate, or suspect, that the painting was a kind of potted history of the oil industry. Yeah - I know, it's in bad books these days due to environmental destruction and contribution to climate change. However, in a similar way to coal, for use of which our predecessors were eternally thankful I feel sure, oil was another natural resource which catapulted civilisation forward at an amazing rate - possibly too fast - but that's another story. In the painting, starting top left, is a representation of the forest where basics of oil were laid down aeons ago, to the right of that is a basic oil derrick. At bottom left oil has become the means of easy travel in the 1920s and 30s. The inset illustration shows a couple of oil men standing before a fully fledged oil field. At far bottom right - hmmm - was that patch foggy darkness a depiction of oil itself - or a prophecy, I wonder ? The picture hasn't translated to computer screen too well, the frame is not black, it's a mid-brown wooden frame. The painting's colours are more subtle yet more distinct, a little sharper than shown. It does have a generally faded look but I don't think it has faded, I think it's in an intended washy water colour style, in shades of aquamarine and grey, with just one splash of a pinkish shade. Click on image for a slightly bigger version. Husband has now replaced and strengthened the picture's two layers of backing and fixed remaining frame problems - good as new! It now hangs to the right of my compuer desk. More images of his paintings, including lots of sports subjects, can be seen via Google Image.